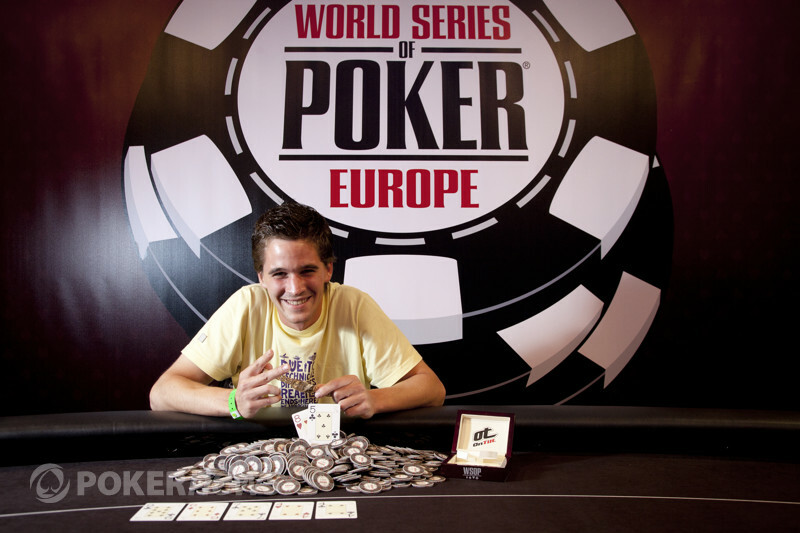 Guillaume Humbert decided to take his live shot in the World Series of Poker Europe (WSOPE) after accumulating his bankroll playing online. Before he entered Event #1 the €2,500 Six-Max NLHE Tournament he had never played in a major live tournament in his life! Despite his, apparent, lack of live action Humbert managed to navigate his way through 360 of the worlds greatest players to take home the €215,999 first prize, the coveted WSOP bracelet and the bragging rights that go along with achieving such as wonderful feat. Congratulations to Guillaume Humbert but also commiserations to Azusa Maeda, the man from Japan, who finished a very respectable 2nd and played his heart out over the past three days. After a slow start the heads-up really got going towards the end. In the final hand Maeda was already short and decided to limp in from the button. After Humbert checked the flop read . The Swiss youngster decided to check after which Maeda shoved all-in and Humbert snap-called. Maeda was almost drawing dead and the on the turn sealed the deal! The meaningless river was the giving Maeda trips but that couldn't beat the flopped straight Humbert already had. Guillaume Humbert is Your Winner! 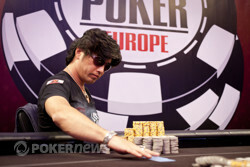 Azusa Maeda moved all-in for 600,000 and after a few minutes pause and sigh Guillaume Humbert folded. Guillaume Humbert raised pre flop and Azusa Maeda called. The flop left the dealers hand and settled on the felt and Maeda bet a meaty 120,000 (leaving 600,000 behind). Humbert raised it up to 300,000 and everyone surrounded the final table expecting the end to be nigh...and Maeda folded! Another 10 minute break for the remaining two player. We will be right back. There was a limp and a check before the two finalists saw a flop of [9c . Azusa Maeda checked to Guillaume Humbert who bet 35,000 and Maeda made the call. The turn was the and Maeda bet 110,000 and after a little thinking time Humbert made the call. This was turning into our biggest heads-up pot so far and it was confirmed at the sight of the river when Maeda bet 200,000. Humbert had a few minutes to ponder his decision before making the call. Madea flung his cards into the muck and Humbert showed to claim his bounty.